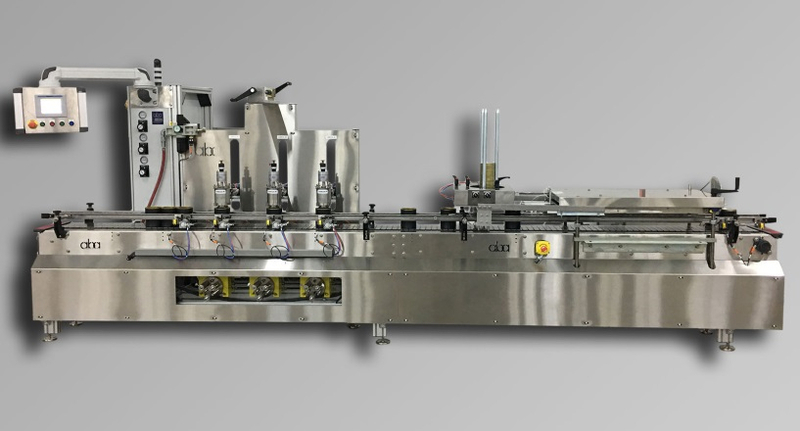 M411 – Two head, top fill volumetric filling machine with a rotary infeed table, semi-automatic lid chute, swing frame fill heads, lid dropper with downstacker, and roller lid press. There is a cut out in the front of the stainless steel sheet cover guarding which allows access to the 1-gallon volumetric pumps. 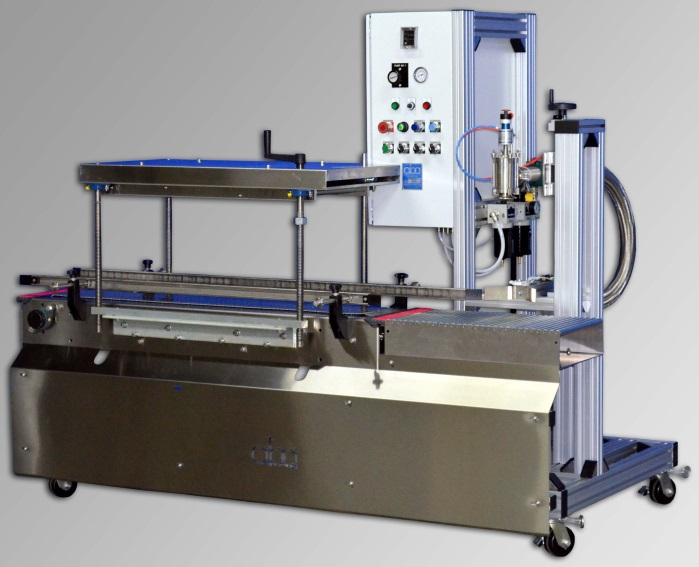 M397 – Top fill, 3 head filling machine with lid dropper and roller lid press. This one-gallon filling machine also features a cut out in the guarding which gives the operator access to adjust the turrets of the pumps in order to affect the fill volume. 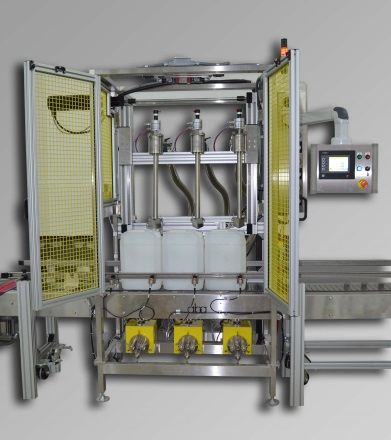 M426 –This one-gallon filling machine is designed to be used in a C1D2 area and features a rotary infeed table, lid dropper with downstacker for additional capacity, and roller lid press. The swing frame design of the fill heads makes cleaning and priming the pumps and fill heads far easier and cleaner. M339 – This is an example of a top and bottom fill 1-gallon volumetric filling machine. 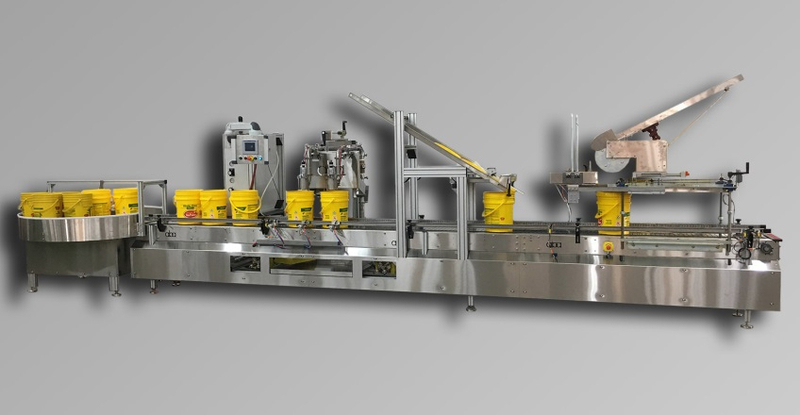 This machine was designed to fill tight neck containers and features a Servo motor to control the movement of the carriage and to track the position during the fill. 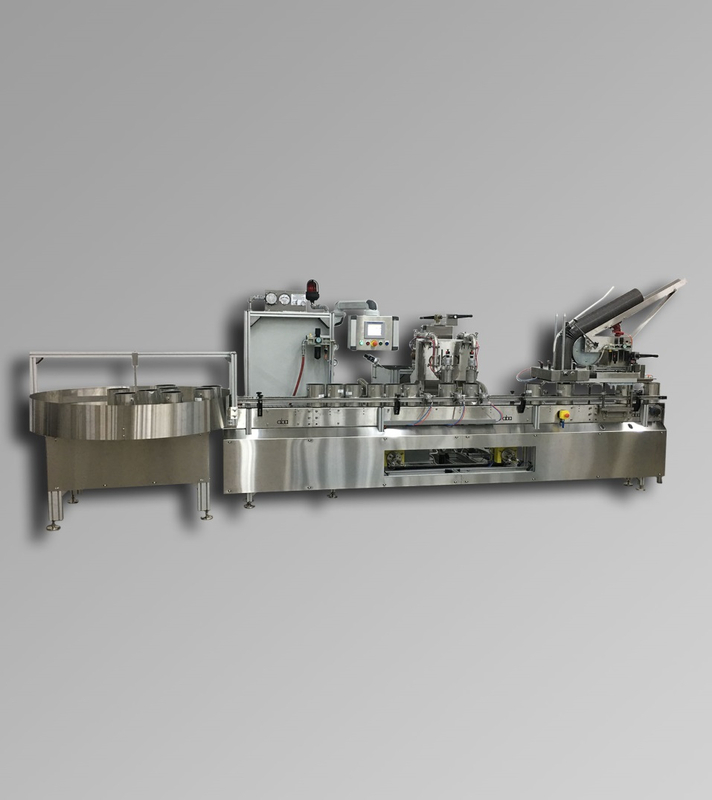 M320 – This semi-automatic, pneumatic, one-gallon filling machine features a conveyor section and roller lid press and a single head for filling.